February 7 – London’s Metropolitan Police and West Ham United are reviewing a video that shows a West Ham supporter directing anti-Muslim abuse at Liverpool star Mohamed Salah. In the mobile phone footage an unidentified West Ham fan can be heard insulting Salah about his Muslim faith as the Liverpool forward prepared to take a corner during Monday’s 1-1 draw in the Premier League between the teams at London Stadium. The video was later circulated widely on social media. Last year Salah enjoyed a stellar 12 months as he was named PFA Player of the Year, Football Writers’ Footballer of the Year and Premier League Player of the Season after setting a new goalscoring record with 32 goals in the season. 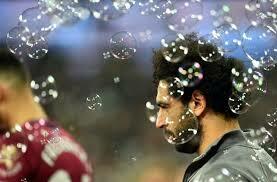 Salah is considered a role model, who has forged bridges between different cultures and lifted Liverpool’s club status.